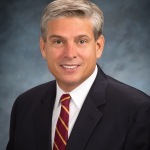 NEW YORK--(BUSINESS WIRE)--CIT Group Inc. (NYSE:CIT), cit.com, a leading provider of commercial lending and leasing services, today announced the appointment of John C. Erickson (54) as President of Consumer Banking and President, California, effective immediately. He will serve on the company’s Executive Management Committee and report directly to Chief Executive Officer Ellen Alemany. Erickson will be based in CIT Bank’s headquarters in Pasadena, California. John C. Erickson is joining CIT Group as President of Consumer Banking and President, California. Erickson comes to CIT following his retirement in 2014 after a 31-year career at Union Bank. Erickson’s two most recent operating roles were as Vice Chairman, having acted as Chief Corporate Banking Officer from 2009 to 2013 and as Chief Risk Officer from 2007 to 2009. As Chief Corporate Banking Officer, he was responsible for managing a diverse group of units including treasury management, wealth management, commercial banking, real estate, and capital markets which comprised over 80% of Union Bank’s income. In this role he was a member of Union Bank’s Executive Management Committee and a member of the Mitsubishi UFJ Financial Group U.S. Management Committee. Prior to this role, in 2007 Erickson was appointed Vice Chairman and Chief Risk Officer to provide risk leadership through the financial crisis. He was responsible for enterprise-wide risk management and addressing certain key regulatory issues. Previously, he was named Executive Vice President, Commercial Banking and Wealth Management in 2003 and prior to that, Executive Vice President, National Banking in 2001. Erickson joined Union Bank in 1983 as part of its Management Training Program. After his retirement from Union Bank in 2014, he joined the board of Zions Bancorporation where he served as Chair of the Risk Oversight Committee and as a member of the Audit Committee. Active in the community, Erickson has served on several other boards, including The Music Center, The Living Desert, and UnionBanCal Equities. He earned a BA in Economics and an MBA in Finance from the University of Southern California. CIT thought leadership content can be found at the Knowledge Center on CIT.com (cit.com/knowledgecenter) and our CIT Point of View blog (cit.com/pov). View our corporate video (cit.com/corporatevideo) and follow us on Twitter, LinkedIn, YouTube and Facebook. Register to receive press releases at cit.com/newsalerts.